R13 recruitment are supporting a market leading organisation in their search for a Sales Consultant to join the team supporting stores across the East of England. This role will involve travel to several locations, including; Norwich, Dereham, North Walsham, Lowestoft, March, Peterborough, Colchester, Chelmsford, , Northampton, Stevenage. Reporting directly to the Store Manager and Area Sales Manager, you will act as a brand ambassador, and you will be responsible for selling and advising on a range of products and supporting in the day to day running of the stores. Rthirteen recruitment working in collaboration with a leading, national retail organisation in their search for a Customer Care Advisor to join their dedicated team based in South Norwich on a 12 month fixed term contract. The main purpose of your role will be to handle incoming calls, emails, live chat enquiries and complaints from customers. You will take full ownership of your workload and be responsible for managing complaints and enquiries through to conclusion. 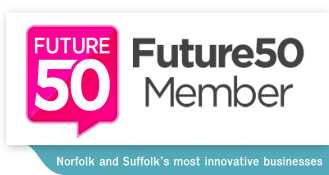 This is amazing opportunity the successful candidate to join a supportive and encouraging team, based in modern open plan offices in South Norwich, with full training provided. You will be able to develop skills and provide outstanding customer service within a fantastic organisation. R13 recruitment are working alongside one of the region’s most well established and respected Commercial Insurance Brokers in their search for a Senior Account Handler. You will play an integral role within the business, providing technical, administrative and client service support to Account Executives and their clients.